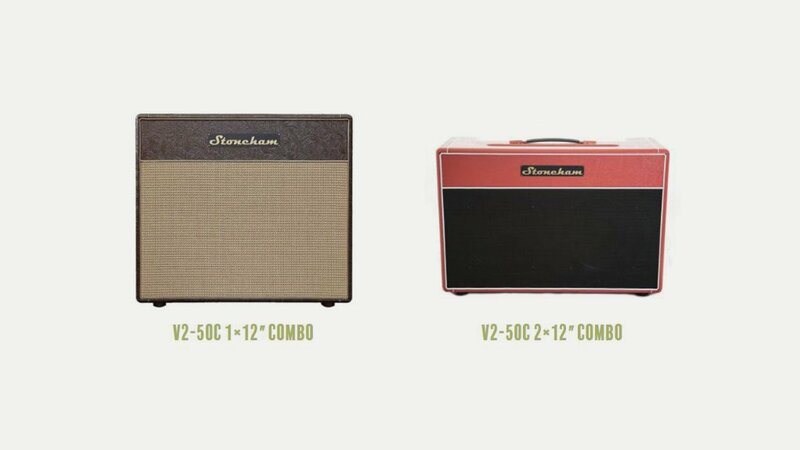 Stoneham amplifiers are hand crafted in the UK and designed to meet the modern guitarist’s requirement for world class guitar tone, at a price within reach of the working musician. All amps are designed with the same principles; 100% valve signal path, built with components chosen for their performance rather than their price. Each Stoneham amplifier is designed to last life on the road and be easily maintained, drawing on many years’ experience repairing and modifying amps for guitarists. Their designs draw on the essence of those old amp sounds we all know and love, but are refined and modified to give an open, expressive organic tone. Each amplifier they make is thoroughly ‘burned in’ and play tested to ensure their products develop a reputation for reliability that is simply unsurpassed. The range includes heads and combos – Savage, V-Four, V2 and Y1200.